SFC Knit along continues. I get 4-6 rows a night done lately. I figure when we take off on our first RV trip it will be the only knitting project to go for the ride- enforced finishing! 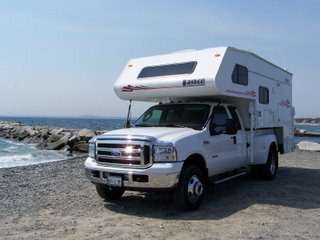 Took the RV to mother in laws Wednesday, picked up salads and had lunch on Kennebunkport Beach. 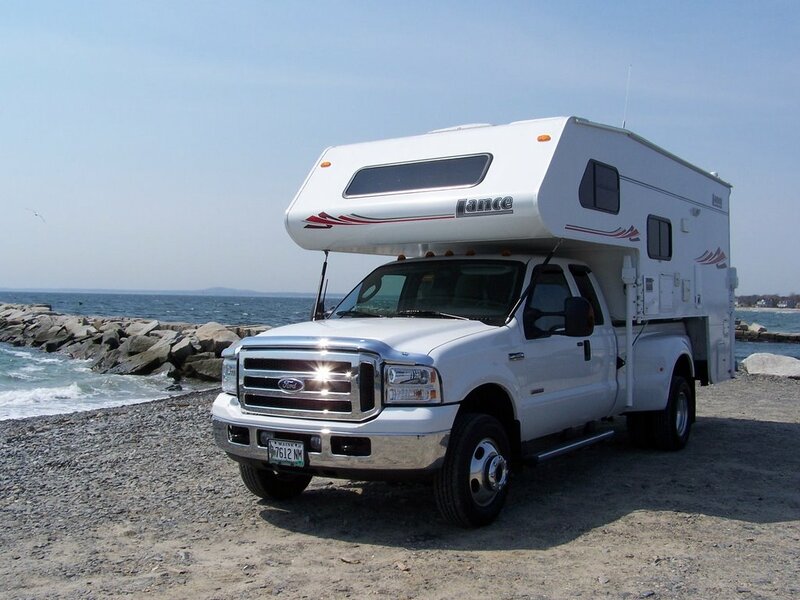 The photo is of the truck by the jetty leading to Kennebunkport's tiny harbor, open Atlantic ocean in the background. I LOVE Maine.